Please attend this Important Event next Thursday Jan 26th @7pm. Register at Eventbrite and share with friends & family. 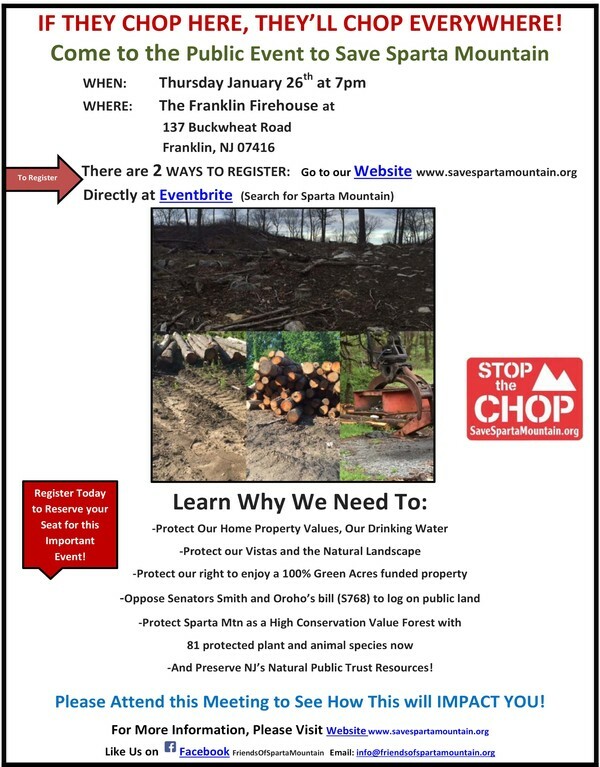 Learn how we can protect NJ's woods and drinking water in the Highlands.